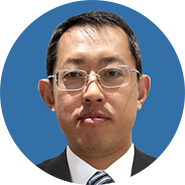 Wanglin, Bachelor of Clinical Medicine, Master of Business Administration, Deputy Secretary-General of Innovation Service Committee of China Medical Device Industry Association. Used to be a Radiologist and working in enterprises for many years. Participated in the R&D and application of the first digital X-ray machine (DR) in China. Familiar with the domestic and foreign medical equipment industry and market, especially large-scale imaging diagnostic equipment, endoscopy, interventional consumables, orthopedic equipment. In recent years, engaged in innovative service of medical devices, familiar with the development status of the medical device industry, and has more experience in innovative technology transformation of medical devices.